Ohio Steel Construction offers an impressive array of metal building systems, all of which can be custom engineered to complement your unique building application. Please browse the information below of different project types, as well as to learn more about the many features and benefits we can provide. Ohio Steel Construction has worked hand in hand with the farmers of America to design and produce only the highest quality steel buildings possible. Whether you need steel farm buildings for livestock, grain storage, equipment repair or any other agricultural use you can depend on us. Designed with clearspan interiors from 30' to 300' you will be able to maximize the use of your metal farm building without having to worry about any posts or interior obstructions. Our engineering department can design your building to accommodate any size or shape of door, so you can get all your large equipment under one roof. Because there are no cords or webbed trusses in our steel building design you will not have to worry about insects, or vermin nesting in the rafters of your steel building. You can also save up to 40% on your fire insurance costs versus wood pole buildings. 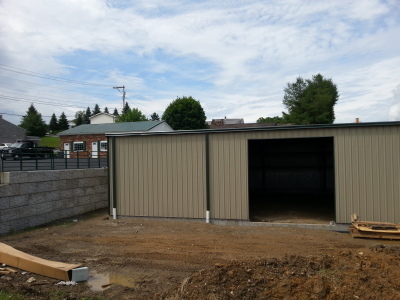 Ohio Steel buildings garage kits by Ohio Steel Constructionwill meet all of your automobile storage needs. 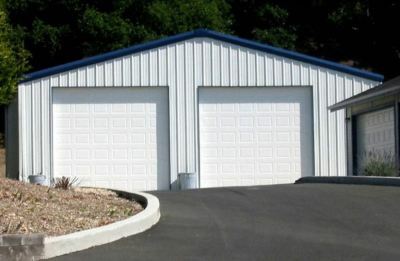 Whether you need to store a few classic cars, or hundreds of vehicles for your car dealership, Ohio Steel Construction delivers fully customizable steel building garages at the lowest possible price. Our column-free steel buildings interiors of up to 300 feet allow you to park your vehicles without having to maneuver around support beams. Helicopter? Kit Plane? Micro light? GA single or twin? Your own airfield or someone else's? 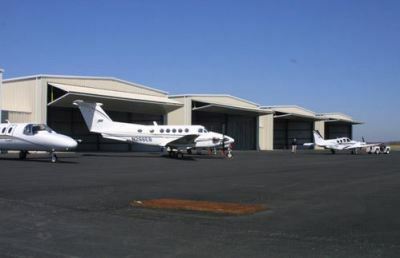 building, servicing or just a simple hangar for your aircraft? An Ohio Steel Building Aircraft Hangar will transform your approach to flying and aviation. It's amazing how many airplane and other aircraft owners suffer from or put up with inadequate or non existent hangar space for their aircraft. A high quality Ohio Steel Construction aviation hanger provides both weather protection and security for your aircraft and parts and provides an area for maintenance and storage. Our hangers are suitable for a wide range of aircraft from personal airplanes to business jets and helicopters, to smaller craft such as micro lights. Engineered to be 100% clearspan and available in widths from 30’ to 300’ and heights from 10’ to 50’, we can design your building to house from one bus to one hundred buses. 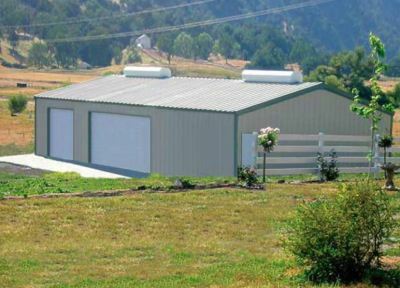 Our pre-engineered steel buildings will save you both time and money on your project. Ohio Steel Buildings arrive on your jobsite pre-cut, pre-drilled, and pre-welded, ready to bolt together. Church construction committees understand the importance of maximizing the return on the donations made to the church by their members. 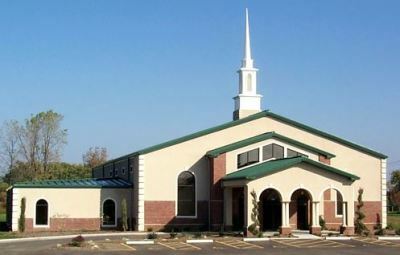 Churches are looking for an economical way to build their structures. But at the same time it has to aesthetically pleasing too. Not to mention being able to house bathrooms and other necessities a church would need. 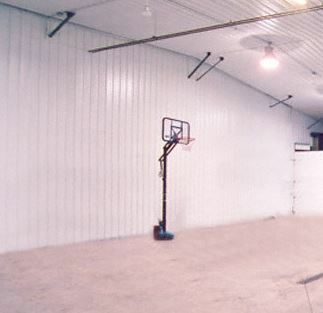 Ohio Steel Buildings offer column-free interiors uninterrupted floor space and provide variable ceiling heights. Your commercial steel building can be enhanced with decorative brick, wood, stucco, glass, and aggregate panels. Our project manager will be able to help you achieve the look you want in the most economical way possible. Ohio Steel Construction makes good horse sense and more! Ohio Steel can design a custom arena, stall complex and feed/grain/tractor storage. 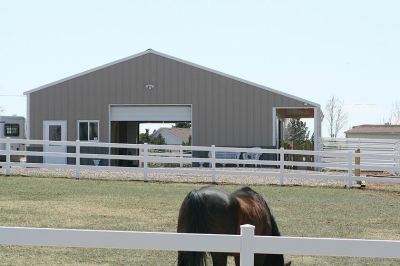 Our steel buildings for the ranch and farm range from the elaborate equestrian facility to the standard farm building. All of our steel buildings give you that sense of security because they are engineered and built to the highest standards of quality. 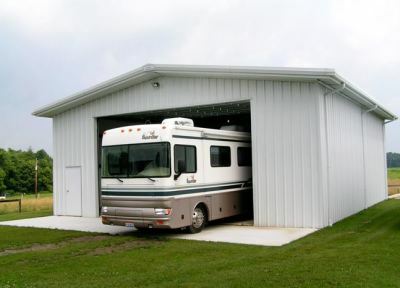 A Steel building from Ohio Steel Construction is the perfect fit for all your storage needs. Every steel storage building we ship comes pre-cut, pre-punched, and pre-welded for simple bolt together construction. Designed for the do-it-yourselfers many people assemble their own buildings. We can design your steel structure from 30' to 300' in width and 40' to unlimited length. Whether you have one piece of equipment or an entire yard full, our clear span interiors allow full use of your interior space. Give us a call today and discover why Ohio Steel Construction has been a leader in the Metal building industry since 2003. Ohio Steel Construction supplies and installs Federal, State and local municipal government agencies buildings. 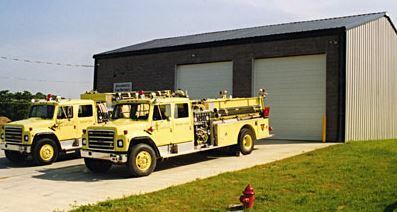 Whether you need a water treatment facility for the department of prisons, steel classroom buildings for a local school district or a metal building fire-station, we can accommodate your needs. If there is an emergency and a building is needed immediately, we can deliver on a short lead time with our government programs, which allows fast scheduling. A pre-engineered steel building from Ohio Steel Construction can meet the needs of residential use. Whether your design requires a choice of aesthetic finishes (like combining steel with wood frame, brick, log, rock, or paint finishes, etc.) or functional design features like special doors, windows, cupolas, insulations; your Ohio Steel Construction project manager is ready to help you every step of the way. Ohio Steel is committed to serving the United States industry market. Our buildings are constructed entirely of the highest grade US steel available today. 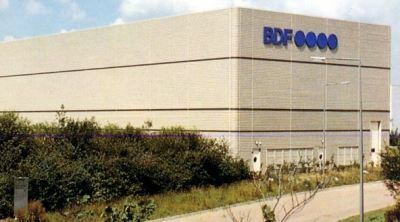 No factory is too large; no requirement is too complex for our project management team. 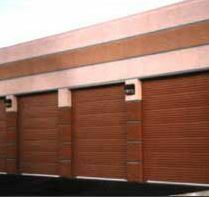 The Self-Storage business has grown into a multi-billion dollar industry and Ohio Steel Buildings is a proud supplier and erector of these types of buildings. From a variety of options including panel colors and matching trim colors to the virtually maintenance free, durable materials; you will be please with Ohio Steel's quality, selection and unsurpassed customer service. Ohio Steel Construction and our steel building project management team can recommend the perfect building for your needs. Whether you need a building for a small retail store or a giant office complex for a Fortune 500 company, our engineering department can serve your needs. The best part about steel buildings is they are virtually maintenance-free and are built to withstand the worst that Mother Nature has to offer. Recreational steel buildings need column-free interiors, high ceilings and design flexibility. 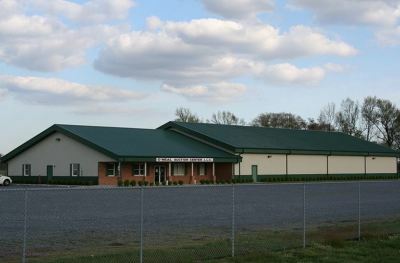 Ohio Steel Construction provides steel buildings sports arenas and steel building gymnasiums that are fully customizable for any sporting event or fitness equipment, whether you need indoor tennis courts, ice hockey rink, basketball court, driving range, paintball arena or fitness equipment facility. Ohio Steel Construction and our steel building project management team can recommend the perfect building for your needs. Whether you need a building for a small retail store or a giant retail complex we can serve your needs. The best part about steel buildings is they are virtually maintenance-free and are built to withstand the worst that Mother Nature has to offer. When you want to ride year round, no matter what the weather conditions, let Ohio Steel Construction help move your operation indoors. 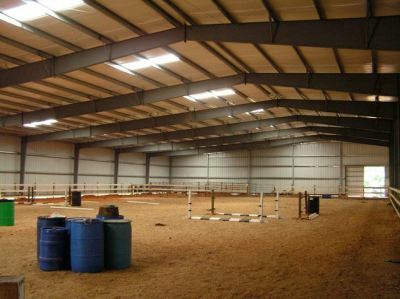 Whether you have one horse or one hundred we can design an indoor steel riding arena to fit any budget. You will have plenty of room to ride with our clearspan design giving you 100% useable interior space with widths ranging from 30’ to 300’. 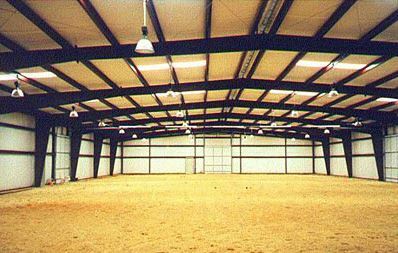 Need more space for additional stalls or a tack area? We can include lean-to buildings on the outside of your steel building arena, giving you even more available space! Steel construction is the perfect choice in today's construction market. As a business owner you need to get the most building from your construction dollars as possible. Hundreds of customers have found just how affordable and versatile a Ohio Steel Building can be. We can design any floor plan that you can envision from a simple stand alone store to an entire retail complex. We can custom design your steel building to include custom glass work, store front facades, brick or masonry. Our open clear span interior means that you'll have more interior floor space available for your products and customers. Your steel building can be manufactured to allow for future simple expansion as your business grows. 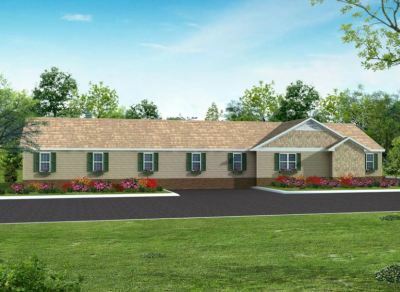 An Ohio Steel Construction building will save you up to 40% off the cost of conventional construction material and our simple bolt together construction also can cut your labor costs by as much as one half. Engineered to be 100% Clear span and available in widths from 30’ to 300’ and heights from 10’ to 50’, we can design your building to house one truck or one hundred trucks. 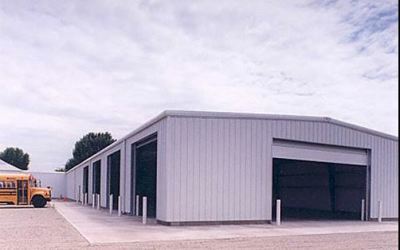 Our pre-engineered steel buildings will save you both time and money on your project. Ohio Steel Construction building arrives on your jobsite pre-cut, pre-drilled, and pre-welded, ready to bolt together. 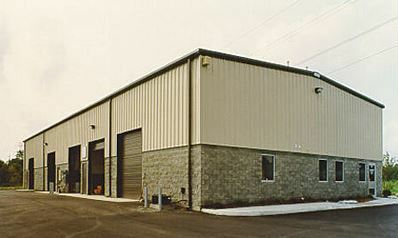 Ohio Steel Construction pre-engineered industrial steel warehouse buildings are 100% made in the USA and meet or exceed our strict metal building quality specifications. Ohio Steel industrial steel buildings are fully customizable with a variety of ceiling lights, windows, insulation, doors and more. Building lengths and widths are unlimited to accommodate any warehousing need Ohio Steel Construction has helped many businesses build pre-engineered steel warehouse buildings at up to 60% below the cost of conventional building construction. Ohio Steel Construction supplies Federal, State and local municipal government agencies. 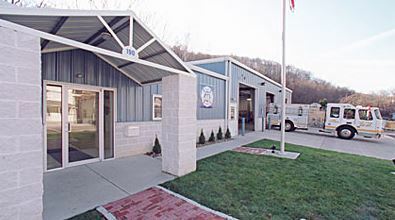 Whether you need a water treatment facility for the department of prisons, steel classroom buildings for a local school district, police station or a metal building fire-station, we can accommodate your needs. 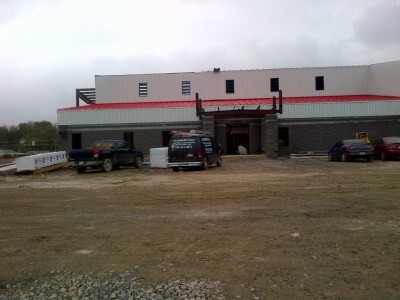 If there is an emergency and a building is needed immediately, we can deliver on a short lead time with our government programs, which allows fast scheduling. Ohio Steel Construction is pleased to offer you a win-win solution for your large-scale project roofing needs. Our long bay systems is custom engineered to accommodate structures requiring expanded areas of open floor space, while allowing for uncommon flexibility in architectural design. You'll find Ohio Steel Construction enables you to achieve an ideal balance of alignment and functionality for such structures as manufacturing facilities, warehouses and retail buildings. Open web truss sub-framing provides roof support and simplifies the installation of mechanical and electrical systems. Less bridging, fewer footings and a reduced number of columns result in significant overall cost savings, while compatibility with multiple wall and roofing systems gives you increased flexibility in construction design. 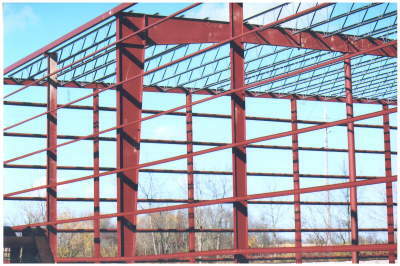 Ohio Steel Construction can recommend the perfect building for your needs. Whether you need a building for a medical retail store or a giant medical office complex we can design and build the facility to serve your needs. The best part about steel buildings is they are virtually maintenance-free and are built to withstand the worst that Mother Nature has to offer.